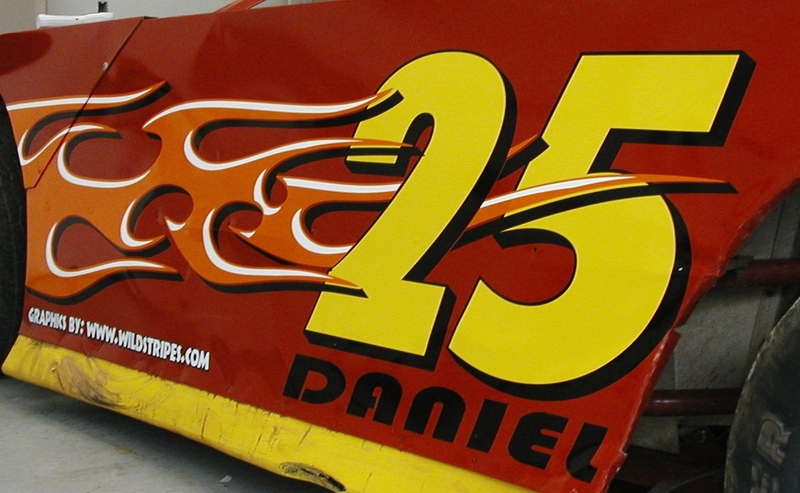 Attached is a quick layout for the flame stripe idea with your racing package kit. Let me know what you think. The top image has more flame accross the 25. The second, less. Both look good, whatever you think.